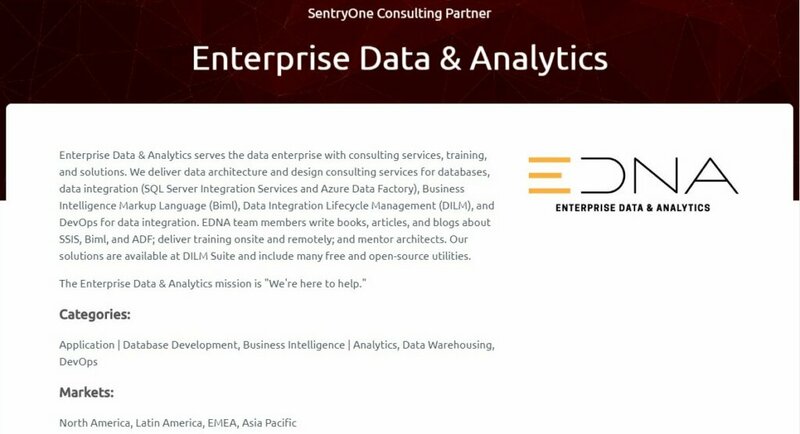 I am honored to announce Enterprise Data & Analytics is a SentryOne Consulting Partner! We began communicating regularly with SentryOne soon after they acquired the SSIS people and products from Pragmatic Works. Becoming a partner just made sense because we have been recommending Task Factory and LegiTest for years. We are honored and excited to be a SentryOne Consulting Partner! Do you work for a charity or non-profit organization? Submit your application today. 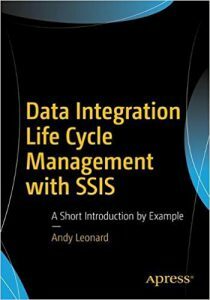 I haven’t advertised this in the past and… I’m not sure why: I donate licenses for SSIS Catalog Compare and (non-free) SSIS Framework Editions – and subscriptions to Biml Academy and SSIS Academy – and Enterprise Data & Analytics Training – to individuals who work for charities and non-profit organizations. I am honored to announce our 2019 Scholarships. I was inspired to make this public after reading this post over at Brent Ozar Unlimited. In addition to donating free licenses to our software and online training sites, Enterprise Data & Analytics offers a discounted rate to charities and non-profits for consulting services and free access to Enterprise Data & Analytics Training. We are here to help.™ How may we serve you? Contact us today and let us know! Be nice. We all have bad days. I know I do. It seems like I get interrupted about 1,000 times more when I’m busy than when I’m not busy. Why is that? Is it some vast universal conspiracy to rob me of productive work? Is it all in my head? If the Comic Sans font bothers you, please reread the message. I receive a Connection Request from someone with “recruiter” or “personnel” or “people” in their title. I accept. Why? I like people. I’m just that kind of guy. I get a message – usually within 24 hours – that reads in part something like the following: “I came across your profile searching for someone to fill a position for a ______. I think you may be a good fit for the position. If you are not interested, please share with any qualified individual in your network.” This is sometimes followed by a promise of referral recompense, though I’ve never – not once, to date – ever been compensated for recommending someone. Back in my Linchpin People days, I actually did a little recruiting. I’m not entirely sure, but I think I made more money per hour doing recruiting than I have ever made – period. I mean, I didn’t do it for the money (and I don’t recommend people for referral compensation, I was just pointing that out…). I was actually trying to help a friend, or customer, or both out of a jam. In short, IT recruiting pays well. So I understand why recruiters behave they way they sometimes do. Most recruiters who contact me these days do so via LinkedIn following the communications pattern I shared earlier. I don’t mind. I used to mind, but I no longer do. I’m glad you asked! That’s an excellent question. We were hired by a company for which I worked years ago. And my boss used to report to me. Almost. That sentence has an extra five words in it. There at the end. Don’t get me wrong. It is good I wasn’t a jerk to that person. It’s better that I wasn’t a jerk to anyone – well, almost anyone – at that place of business. Why? Really? One question: Have you thought that one through? Are you never going to need to change jobs again? Ever? Are you going to leave the IT field when you do? If so, is it possible – even remotely – that you might encounter even one of the recruiters with whom you interact on LinkedIn? Awaken after hitting snooze thrice. Weigh in, pray, read the Bible, check the burn barrel. This morning I weigh 201 pounds. There’s a bunch to pray about. I start with praise followed by gratitude, thanking God for another day. This morning I read Psalm 150 again (now reading Psalms from last to first), the second half of Romans 14, and Colossians 1:9-14. I help Christy and Emma get the van loaded for the Farmer’s Market today. They sell all sorts of goodies. The fire in the burn barrel is out and a few coals are smoldering. I decide to let is cool down and empty the ashes, then start over. I get the boys up – those boys can sleep. Stevie Ray needs to finish up some laundry and homeschool testing and Riley has some cleaning to do. I clean up the kitchen some and then head to the office. Slides for the Data Platform Summit 2018 in Bangalore, India are due tomorrow. I’ve delivered each presentation before. But this is the first delivery of the Intelligent Data Integration precon with Azure Data Factory material. Exciting! I head outside for some “pine therapy.” It’s Saturday and I want to get the trunk of this large-ish tree on the ground. That means either finishing or all but finishing the limbing of the tree. To turn it into exercise (well, more exercise) I decide to use the ax instead of the chainsaw. I accomplish my goal. Four large piles of pine brush lie drying in the Farmville sun. I call it for the day. I may have overdone it a little. Exercise is a good idea and getting outside for a stretch was awesome. Perhaps the ax wasn’t such a good idea… My hands and elbows are sore. I do something I rarely do – plop down on the couch and watch some television. – awaken after hitting the snooze on my phone alarm once. – Weigh in, pray, read the Bible, coffee, check the burn barrel. This morning I read Psalm 150 and the first half of Romans 14, which later prompts a couple social media posts about how I should stop despising and judging. The fire in the burn barrel did not do well last night. The bigger pieces I left to smolder overnight are still there. It’ll take a couple tries to get it burning this morning, I imagine. I start Try #1 with some dead twigs. 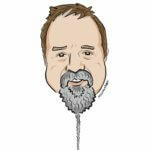 I comment on Brent’s post about #SQLCareer and fill up the Buffer buffer for the day. I open Outlook and see an email from Kent Bradshaw. I meet with Kent via SkypeForBusinessLync to discuss the goings-on at Enterprise Data & Analytics. Consulting is slow now, which is normal for this time of year. In about the month we’ll start getting pings for work. That’s fine, we both have other things going on (vacations, a trip to the Data Platform Summit 2018 in Bangalore, India, etc.). Christy and I have breakfast (keto-friendly). She started baking yesterday for the Farmer’s Market tomorrow. After breakfast, I resist the small tray of brownies on the counter… for now. I had a couple yesterday and they are, as ever, awesome. Stevie Ray finishes camp today and he needs to be picked up at 5:30. It’s about an hour away so I will likely knock off mid-afternoon today. Riley is finishing up his homeschool testing this weekend. Since he’s doing math I’m on for questions. This will likely consume much of the morning. Write. I add to my Notepad document to record my day for the next few days. Capture the video for the SSIS Academy Data Flows 2 lab which validates the lab document. Save the lab doc as PDF. Christy is cooking like a mad-woman for the Farmer’s Market and doesn’t want to stop to eat lunch (she somehow managed to make supper in the crockpot already! ), so I grab some leftovers and eat in the office. Worked on SSIS Academy Data Flows 2 course. Added some files to the Data Flows 1 collateral. I did about an hour’s worth of “Pine Therapy” – keeping the burn barrel going and enjoying some time outside in this lower humidity limbing up a pine I felled a couple days back and piling brush. – Wake up (beating the alarm), weigh in, pray, read the Bible, coffee, check the burn barrel. Christy and I have been on a keto diet since 5 Mar. I started out at 238 pounds. This morning I weigh 199 pounds. I’ve been bouncing in the 196-203 range since early May. Part of the reason for the plateau is cheating on the diet (diet fatigue). Part of the reason is I’ve probably lost what I can with diet alone and need to add more exercise. My exercise lately has been work around the farm. I’ve been reading through the Book of Psalms recently and this morning I read 149 (of 150). I’m also studying the books of Romans and Colossians. I’m slowly burning limbs and brush from areas I’m clearing around the farm. There are hot coals from the three larger pieces I put in the barrel last night. I add three more larger pieces. – Write. I create a Notepad document to record my day for the next few days. 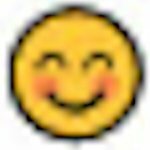 After reading Brent Ozar’s first entry last night – in which he reminded me of Steve Jones’ SQLCareer post earlier this month – I decided to share a few days. Startup vDemo – my demonstration virtual machine – in preparation for today’s Summer O’ ADF webinar titled Use SSIS Catalog Compare to Lift and Shift SSIS to ADF. While vDemo is starting, I log into Azure Data Factory and start my Integration Runtime. The webinar is over 6 hours from now but I don’t want to wait until the last minute – it takes 20-30 minutes for ADFIR to start. I note the free Azure account I set up for the Summer O’ ADF has $181 left and is probably down to about 10 days remaining in the free month with $200 of credit. I note the accounting doesn’t (yet) reflect the 5 hours or so I had Integration Runtime running yesterday. My Azure spend has latency and I am attempting to monitor the latency. At present I see resource usage reflected in billing 36-60 hours after the resource usage. 0. I bit off a lot. I made major changes to the graphical (treeview) representation of the SSIS Catalog. If you’ve been playing along at home, you can see these changes in the free DILM Suite utility, Catalog Browser. Catalog Browser and Catalog Compare share a lot of code. 1. Enterprise Data & Analytics landed two large data engineering projects at about the same time one year ago. One client doubled their request at the beginning of 2018 which resulted in doubling our people. Both projects are done but the both clients indicate they will have more work for us in the future. I still deliver consulting work – designing and building SSIS and database solutions – while managing the company. Nick Harris manages the business development cycle; a skill at which he is most gifted and for which I have neither proclivity or the inclination to proclive (…to quote the sage wisdom of Tom Smykowski [Office Space], “Engineers are not good at dealing with customers.”). Consulting and management took time away from software development. While walking through the script for today’s webinar, I found a bug in the scripting of SSIS parameter literals. Booleans are… difficult. The string value of a Boolean is “true” or “false.” The corresponding T-SQL values are 1 or 0. Since SSIS Catalog parameter values are stored as sql_variants, getting the value right is vital. True/false not only doesn’t work, it causes the T-SQL script to fail. Hence, SSIS Catalog Compare v3.2.1.0 (Preview) was updated yesterday to SSIS Catalog Compare v3.2.1.1 (Preview). I’ll put it through some paces this morning by running through the webinar script again. If all goes well, I will drop it into the Dropbox folder and let the Early Adopters know there’s a new version available. – Check the Buffer(.com) buffer. 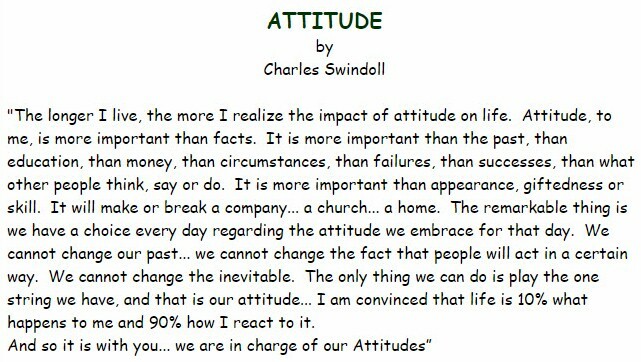 Load it up with posts for today from andyleonard.blog and a few other sites. Check the results of yesterday’s newsletter campaign. 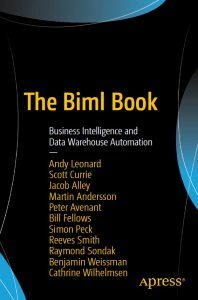 – Biml Academy – more sales this month compared to last month, most likely due to new content. – SSIS Academy – launched this week and has decent traffic for a newly-launched site. 1. Many of Enterprise Data & Analytics’ customers are medical-related. I also read about Amazon’s Prime Day and how it improved revenue for other online retailers, specifically Target. – I get a low battery warning on the laptop. I don’t always bring the laptop downstairs after work but I did yesterday hoping I’d get a chance to look at the SSIS Catalog Compare bug I’d identified earlier in the day. I did have time and I fixed it (I think) – more testing today… I shut down the laptop for now. I make a keto-friendly breakfast for Christy and me and fry up some bacon for Emma and Riley (Stevie Ray is at camp this week). I put Christy’s omelette (spinach and cheddar) in the preheated-and-then-shut-off oven along with the bacon for the kids. I have an omelette and some fried bologna. The keto diet is weird if you’re used to non-fat diets. Fat is part of the keto diet, as are complex carbs. And it’s time for my second liter of coffee. I catch up on some reading while eating. I am currently reading The Holiness of God by R. C. Sproul during mornings and The Culture Series by Iain M. Banks before sleeping. Reading is important and I enjoy both reading and writing. I check the fire a couple times to make sure the wood I added is catching up. It’s not, so I add some more, smaller pieces this time. The wood I put in before sunrise was damp with the light dew. Sitting on the coals has dried it out and the twigs catch in a few minutes. I load and start the dishwasher. I forgot about the clothes in the washer last night – it was a busy and late night for me with praise band rehearsal – so I re-wash that load. I empty the trash and make a run to the landfill, checking the fire on the way out and when I return. It’s burning nicely. – I get to the office and settled a little before 8:00 AM. The laptop battery is happy (well, happier, as it charges). I contemplate live-blogging the day and decide I will not be able to provide many updates, but it’s worth starting, and so I do. After some proofreading, it’s ready to publish. – I proofread (again!) this post and correct typos and misspellings and verb tenses and… you get the picture. I promise I proofread it in Preview. But for some reason, it’s not the same as reading it after it’s posted. I pop open Outlook and check my email. Nick has closed another gig for what we call “SSIS Review.” I need to add a page to the Enterprise Data & Analytics website about this service. We’ve been doing a lot of this lately. We typically set the contract at not-to-exceed 40 hours (minimum) and only invoice for hours as they are consumed (unless the customer requests otherwise… some customers have budgets that they must consume within a fiscal year. If the customer requests it, we invoice up front.). I also see a Customer Status Update from Penny. Penny has been working with Enterprise Data & Analytics for a couple years now. She’s my daughter, Mom to three of my favorite five grandchildren, and quickly becoming a senior SSIS developer. I’m proud of her. Time to hit Update and post about this post on social media. I restarted vDemo and starting walking through the script for today’s webinar. I put the wash in the dryer and started a new load. I propped open the dishwasher so the load that just finished will dry faster. I checked the fire again and, durnit! Still not going like I want. I added some more small stuff and let it set for a while. It’s started burning well as you can see here. I rescued a small bird from a couple of our cats that must’ve just left the nest. Webinar script rehearsal is complete and was successful. Took a break away from the laptop. Why? I like to do something else before presenting – something… different. Plus it’s a gorgeous day in Farmville Virginia with surprisingly low humidity for this time of year. Emma and I took advantage of the remaining coolness of the morning and piled some brush near the burn barrel. It’s now time to start the webinar. The webinar is done and, by all indications, was a success. It’s lunch time! Lunch was keto-friendly, of course. A salad and a meat-stuffed squash. Christy and I dropped off her van across town. It needs new tires. The shop tells us they can get it done today which is great because we have a couple other errands to run this afternoon – we’re meeting friends from church and I am getting a haircut (or several hairs cut…). I posted The Recording for Use SSIS Catalog Compare to Lift and Shift SSIS to ADF is Available. I restocked the burn barrel. I edited the PowerPoint and lab document for the upcoming SSIS Academy Data Flows 2 course. Online courses take probably more time to build than you think – especially if you do it right. I spent a lot of time documenting the Data Flow 1 course. I’m spending just as much time going through the documentation for the Data Flow 2 course, editing and clarifying. Why? I don’t want to have to try to remember (or figure out) the mechanics of publishing a course each time. I want to spend my brain cycles on developing awesome courses! At this point, I’ve been at it for over 12 hours. Do you know what entrepreneurs call a 12-hour shift? A half day. I updated pages at Biml Academy, SSIS Academy, and Enterprise Data & Analytics. The shop finished with Christy’s van so I took her across town to pay for the work and pick it up. I folded the last of the clothes. I captured the video and began editing the audio script for SSIS Academy Data Flow 2 lecture. I hope to record the lecture audio tomorrow but it may have to wait until Saturday – tomorrow we pick Stevie Ray up from camp. It’s time to take another look at the burn barrel, grab supper with the sexiest redhead on the planet, watch some Food Network, read some Culture Series, and then get a good night’s rest. I am thankful. Today was a pretty good day. 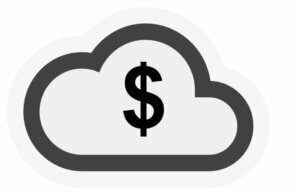 It’s true: the cloud costs money. I absolutely love the cloud! This is why I’ve been delivering webinars about the cloud and blogging and presenting about Azure Data Factory. This much is true. And while the cloud can save enterprises – especially smaller enterprises – lots of cash on “burst-y” workloads via scale-on-demand – the cloud can actually cost more money when unneeded services are accidentally left running. We understood, so we offered to help in any way they would allow. The company sought help from other firms. A competing consulting firm offered to migrate their code and databases to a cloud provider. The company liked this solution and embarked on a migration. The company hemorrhaged cash and clientele throughout the process, and is now a fraction of its previous size in people, clients, cash flow, and profit. The lesson? Migrating to the cloud wasn’t a bad move for them. Ignoring the advice of experienced architects was a bad move for them. Did this client need to move to the cloud? Perhaps. More than anything, this client needed to pay off a tremendous amount of technical debt. By the time we were called, they were well into technical inflation and slipping into a technical depression. Yes, the cost for a fix was high. … the cloud did not fix their bad code. This was heartbreaking to witness. We could have helped them. Why were we unable to help them? We told them the truth; our competition told them what they wanted to hear. See, bad contracting companies have a huge sales force that goes out and asks customers, ‘Hey, what problems are you having? Sure, we can solve those. Just sign here.’ They make impossible promises about their – well, YOUR – capabilities and timelines. Brent is right. This is why I ask, “Are you getting the best technical help available? or are you being sold technology by the best sales people?” There is sometimes a difference between consultants who are good at sales (or who hire good sales people) and consultants who are good at technology. 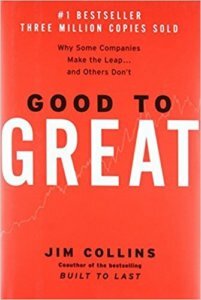 The very best technologist – the one most able to solve your problem for the lowest cost – may be someone who personally irritates you and who charges an hourly rate higher – perhaps multiples higher – than the competition. Did the company in the (true) account above believe they were going to save money?Yes, they did. Did the company in the (true) account above save money?No, they did not. In my post titled A True Story of Value vs. 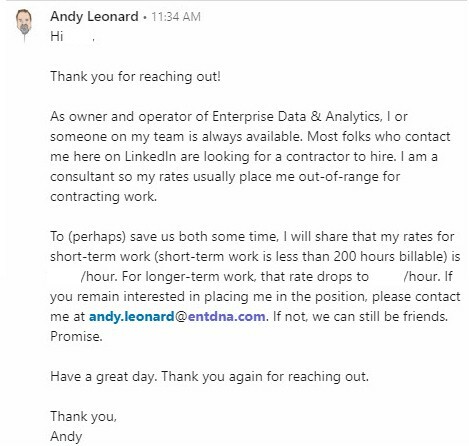 Hourly Rate I share another true story of how our awesome, experienced team at Enterprise Data & Analytics was able to deliver value to a client. Even though we charged more per hour than the competition we delivered more value. How do we know? The client did the math. I’m writing this post to beg you to also do the math. I’m writing this post to ask you to buy consulting services (if you need them) and not just be sold consulting services (whether you need them or not). I’m writing this post to let you know that the cloud is awesome. But the cloud is not free. I hear this question a lot and it is difficult to answer. You can certainly browse over to the Azure Pricing Page to learn more. The difficulty is estimating how many __U’s you are going to use (see what I did there?). 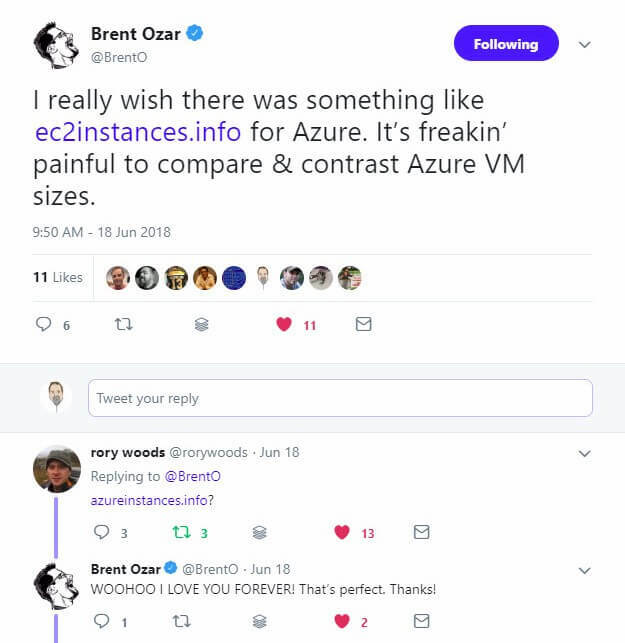 The website is azureinstances.info and it. is. awesome. How to Fix Being Charged for an Unused ADF Integration Runtime?